Medical Grade Wrapping Crepe Paper is specially used for wrapping medical devices which are to be sterilized by steam or EO, to avoid the occurrence of cross-infection, and greatly reduces cost. Can be used as inner and outer sterilization wrapping for various kinds of medical devices. 60GSM medical grade paper, no smell, no fiber, no powder, non-toxic. Blue, green and white is available, easily categorized different instrument set. 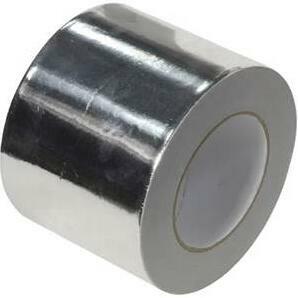 Foil Tapes resist flames, temperature extremes, high humidity, exposure to UV rays and most chemicals. With literally hundreds of options to choose from, no one carries a more complete line of these indispensable, metal-backed tapes. Industrial-strength adhesives bond even in cold or highly humid conditions. The material provides excellent insulation: reflects up to 97% of radiant energy in addition to resisting other types of heat transfer from conduction,convection,and radiation.The side of metalized PET/Alu forms an effective barrier against moisture,air currents and vapors.It is economical solution in many field. 1.Water, corrosion, light can be prevented effectively. 2.for keeping warm ground, warm wall, moisture-proof floor, etc. 3.Eco-friendly, insulation, water-proof,oil resistant, etc. Performance: every light, oxygen, water, moisture, volatile, tensile strength, high heat-sealing strength, flexibility, and can be vacuum packaging high-grade fine. Mainly for large-scale machinery equipment, large Guiji, precision instruments and other goods exports and maritime transport containers (lining) wooden prop box packaging, hardware, electronics, food, pharmaceutical and chemical powder material bulk packaging and vacuum. Clothing, quilts etc. should be fully dry and folded into a convenient storage shape before put into the bag, and should leave a few centimeters from the sealed zipper. Pull the slider slowly , and leave 1/3, then press the bag to let most of air out of the bag, finally quickly close the zipper and press the zipper back and forth several times to make sure it is completely sealed. Open the valve cover, aim the pump to the valve mouth, pulling the piston to pumpdown. After pumping, cover the lid and you can see much space is saved.